A couple days ago, I did a post on the MAC Pro Palette that I picked up after hearing about their price drop and here's the semi-finished product. I originally had a different idea for this palette. It was going to be strictly lipsticks on one side and blushes on the other. Then it turned into a hodgepodge of creams because I got a little depot-happy. So, there's a mix of lipsticks, cream blushes, and a concealer (with two empty wells that I haven't filled yet). I quite like these wells & find them really useful. 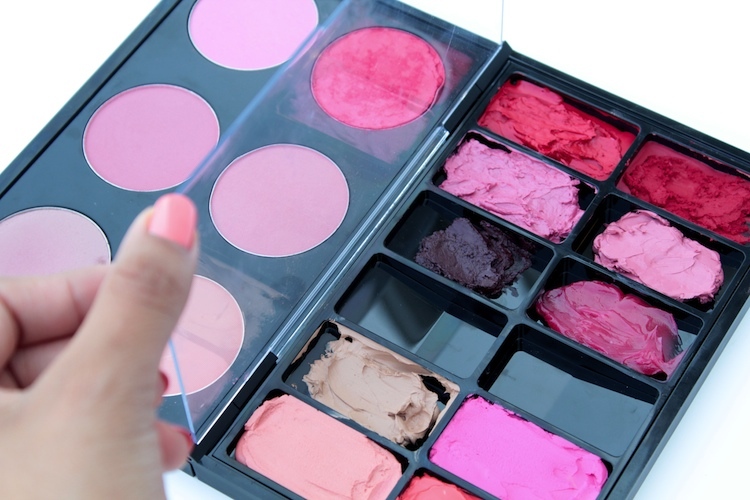 They're fairly easy to pop out of the palette, so you can always switch inserts. I have another 12 well and also a 24 well that I could easily interchange. Ps, I still cringe at the thought of disturbing the sleek tube of a Chanel lipstick or the etched check of a Burberry lippy, though. Baby steps. Hahaha! I would never depot my Burberry lippies!! LOL! I can see the convenience of depotting but everytime I try...it just makes me cringe and yes.. the thought of snipping the bullet off a pretty piece of packaging is a sad sad thought. oh man...not lying but half the fun of buying high end products is for the packaging. i could never depot a chanel (if i had one lol) i tend to chip a lot of depotted powder shadows but honestly, i'll never get through an entire pan so a little here and there won't hurt. i have, however, completely shattered a few in the process of depotting...that's obviously more disappointing. I used to be petrified of depotting too but I recently depotted all of my lipsticks because storage was getting ridiculous and so space consuming. I also want to build a kit slowly so I sanitized some and some I kept for personal use. I don't regret it at all! I don't know if I could depot a lipstick...I'm still scared! 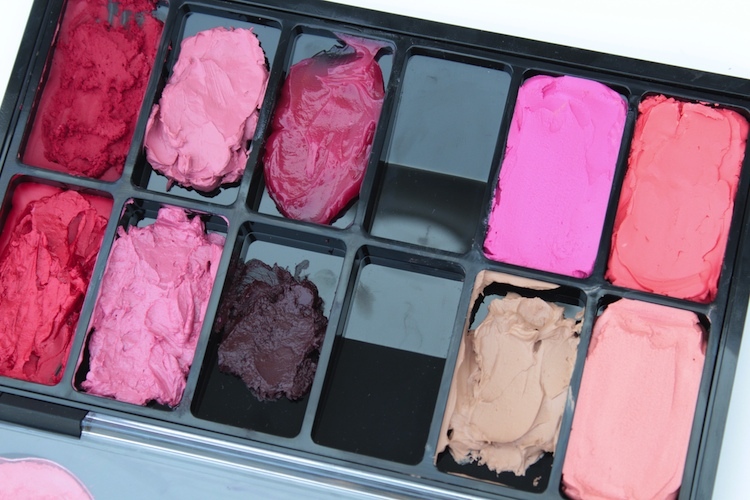 I like your mish mash palette because it is literally a collection of your most favourite colours!